Princeton Review’s 2011 best-value list, released Tuesday, ranks the University of Virginia as the No. 1 best value nationally among public colleges for a third year. The College of William & Mary is ranked seventh. The top 50 list of public schools also included James Madison University and Virginia Tech, which were listed alphabetically. UR is the only Virginia school on the top 50 list for private schools, which was topped by Swarthmore. The rankings by Princeton Review, a company offering test preparation and education services, are based on financial information for the current academic year. UR has set its tuition rates for next year, but public colleges will determine rates later in the spring. 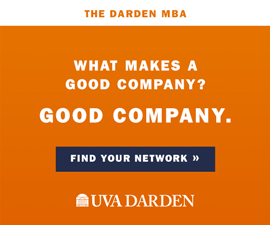 The Princeton report praised UVa and UR for their financial awards. The average debt for UR graduates is $21,555. Students with family incomes below $40,000 receive full tuition and room and board. In-state residents pay $10,628 in tuition and required fees at UVa this year. The average debt at graduation is $19,384, the report says.